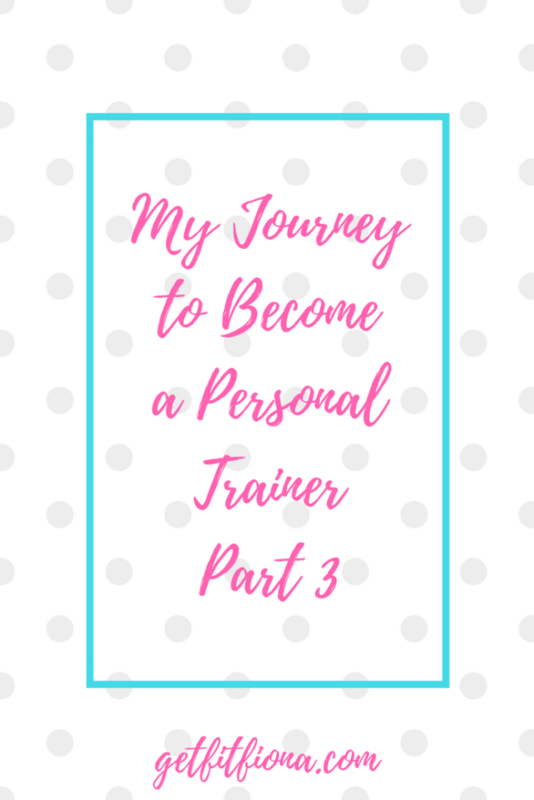 Today I’m sharing my journey to become a personal trainer. This is the third and final part. First off, if you haven’t read the first two parts, you can find them here: part one and part two. I’d suggest checking them out before continuing on with this post if you haven’t read them yet. They’ll give you the beginning and middle parts of my journey. Once I had moved back to Calgary after graduating from university and started eating better, I began to see the changes start. As a result of making better choices about what I ate, along with being more aware of portion sizes, I began to lose weight. While I wasn’t going to the gym because I wasn’t able to find one that I liked, I was still being active. 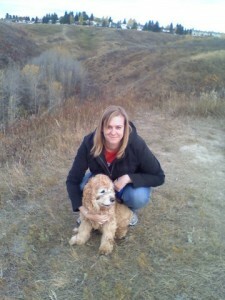 It started with going to my favorite park that runs along along the Bow river and going for walks there. Along with the weight loss, I began to notice other changes happening too. My confidence increased. I was more social and spent more time with friends rather than choosing to stay at home. I was more willing to step outside of my comfort zone. I started dating. None of these things had anything to do with what I looked like, but made such a huge difference in my life. After awhile, I began to add workouts to my walk in Bowmont. I hired an online trainer who created workouts for me and kept me accountable to make sure that I did them. 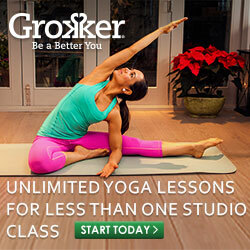 I bought a couple workout DVD’s, and did them when I wanted to get a workout in. We had a treadmill and I used it in the mornings. I ended up losing 80 pounds, between eating better and being more active. While I did make a lot of big changes, I made them slowly over a long period of time. I think that if I had tried to make them all at once, I would have been overwhelmed and it wouldn’t have lasted very long. But because I only changed one or two things at a time, before changing anything else, I was able to put more effort and attention to making sure that I had mastered them before I added something else to my plate. My life is so different now compared to when I was heavier. I’m currently looking for a job in an industry that I love. I’m dating an awesome guy. I’m using food much less often to deal with my emotions (although I’d like to say that it’s 100%, I’m not quite there yet). I have the confidence to walk into a room of people that I don’t know and make small talk with them, whereas that used to terrify me. As a result of my passion for fitness and healthy living, I decided to make a career transition. After doing a couple classes of high school upgrading to get the right prerequisites, I applied for the personal training diploma at Mount Royal University and got in. I started classes in September 2015, and I have to admit that I was a bit scared. It had been nearly 10 years since I had last been in a university setting, and I wasn’t sure if I could do it again. All the research papers, exams, and group projects were all so intimidating for me. Thankfully it wasn’t long before I felt like I was back in the groove of school. I completed the diploma in June 2017 and in November 2017 I took my Canadian Society of Exercise Physiology (CSEP) written exam. I was so nervous about taking it (trying to pack 2 years of education into one exam will do that to you), but I passed with a great mark and I’m now qualified to work with clients both in a gym and on my own since I have my own insurance through CSEP. I learned so much about the technical side of fitness, food, and healthy living at school, and I connected with so many great people at my internships (both clients and other trainers). 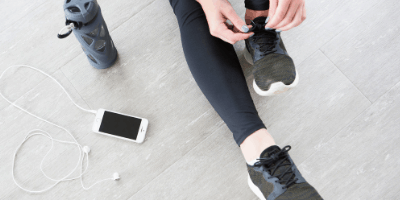 I feel like I have a great mix of both the science behind fitness and the practical stuff that comes with having lost weight myself and making changes to become healthier. I know what it feels like to feel like you’ll never make progress and feeling stuck in a life that’s so different from what I want. If you’ve read all three parts of this series, thank you. I know that it’s a lot to read, but I wanted to share how I made my way to this point. Deciding to change careers can be a really intimidating thing to do, especially when it requires going back to school. I know I wouldn’t have been able to do it (there’s no way I would have had the confidence) before I lost the initial weight. I would have doubted myself too much and convinced myself that I didn’t “belong” there. Now I get to work in an industry that allows me to help people make positive changes in their life, and that’s so exciting to me. Have you ever made a career transition? I’d love to hear about it in the comments.